Land at Gokul Nagar Mallapur Village GHMC Kapra circle uppal . Contact Details : Contact The Authorized Officer: Mr M RamReddy-9553054636,9014578474 in working Hours Only. 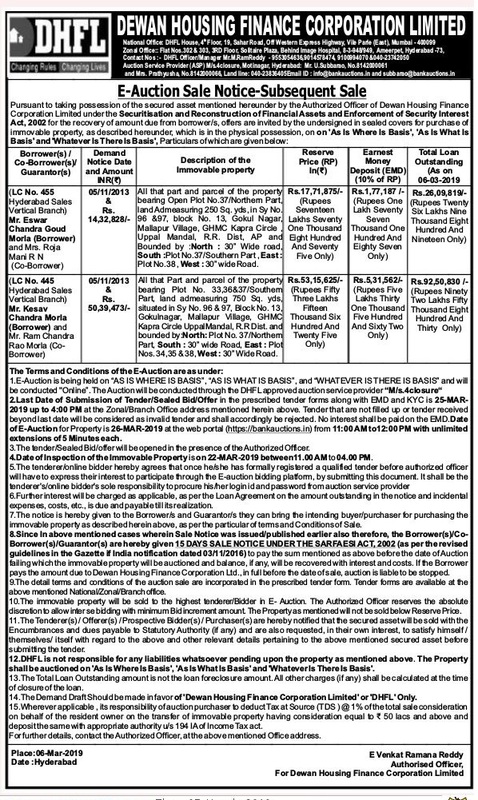 Inspection Details : Contact The Authorized Officer: Mr M RamReddy-9553054636,9014578474 in working Hours Only.